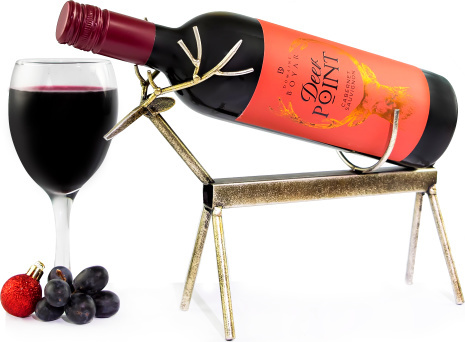 A charming Deer wine holder accompanied with a delicious bottle of Deer Point Cabernet Sauvignon! Send a gift guaranteed to get people talking! This wine holder is perfect for Christmas and sure to be one to be remembered.